What are carbohyrdrates? They are one type of macronutrient. Other macronutrients include protein and fat. Carbohydrates, also known as saccharides, are made up of starches, sugars, fiber and sugar alcohols. Sugars include fructose, sucrose, lactose, glucose, maltose and galactose. Sugar alcohols include things like glycol, glycerol, erythritol, isomalt and xylitol. Starches are found in a number of forms in many foods including grains, potatoes and corn. Asking what are carbohydrates from a chemical perspective yields a slightly different answer. From a chemical perspective, carbohydrates are organic (carbon-containing) compounds that contain carbon, hydrogen and oxygen. 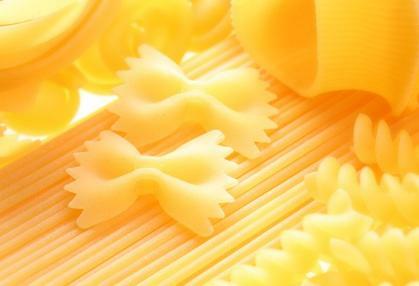 Carbohydrates have four calories per gram, as does protein. Fat is more calorically dense, with nine calories per gram. Carbohydrates are further broken down into two groups - simple carbohydrates and complex carbohydrates. Simple carbohydrates are burned quickly by the body. This is because they are easily digestible. They typically provide the body with a quick shot of energy, followed by a noticeable lag in energy once they have been burned. Simple carbohydrates are found in fruits, sugar and a number of refined, processed foods like white flour, white rice, pasta, potatoes and white bread. Like simple carbohydrates, complex carbohydrates also supply the body with quick energy; however, complex carbohydrates burn more slowly, causing a more gradual and sustained release of energy. This is because they take longer for the body to digest. Complex carbohydrates are found in less refined foods such as brown rice and whole wheat, as well in legumes such as beans and lentils. All carbohydrates - both simple and complex - are broken down into a simple sugar called glucose in the liver. The release of glucose from the carbohydrates causes an increase in blood sugar, which leads to the production of insulin by the pancreas. Simple carbohydrates stimulate a large spike of insulin, while complex carbohydrates stimulate a more gradual release of insulin. The quick spike of insulin the body releases to deal with the high amount of glucose from a simple carbohydrate also explains the quick energy dip as the insulin works to return blood sugar levels to normal. The glucose from carbohydrates is used for energy; however, if more energy is supplied than necessary to meet the body's current energetic needs, the excess glucose from carbohydrates is dealt with by the body in two ways. First, it is stored as glycogen in the muscles and liver. The body maintains a limited supply of glycogen to deal with quick bursts of energy. Extra glucose from carbohydrates that isn't burned as glycogen or used to meet immediate energy needs is stored as fat so that the energy isn't wasted and can be drawn upon for sustained energy deficiencies. According to the World Health Organization, it is recommended that carbohydrates make up about 55 % to 75% of an adult's daily intake of nutrients, with less than 10% of those carbohydrates coming in the form of simple carbohydrates. Many low carbohydrate proponents feel that the World Health Organization's recommendations are far too high. The theory behind low carbohydrate diets is that the release of insulin caused by carbohydrate intake causes all of the macronutrients to be stored as fat rather than burned as energy. Proponents of these diets believe that carbohydrate intake, and especially sugar intake, are very likely responsible for a number of the diseases of civilization such as diabetes, as well as the excessive amounts of weight gain in populations of agrarian societies. There are a number of different diets that recommend lowered intake of complex carbohydrates and no intake of simple carbohydrates, including the Zone Diet (which recommends carbohydrate intake as no more than 40% of your daily calories), the Atkins Diet (which severely restricts carbohydrates by recommending mostly meat, fat and vegetables) and various Paleolithic diets (which recommend eating an ancestral diet of anything our ancestors could forage or hunt in pre-agricultural society). Many doctors also recommend low carbohydrate diets for their patients with diabetes, since it appears that the primary mechanism in type 2 diabetes is insulin resistance. While many have had success and experienced better health on low carbohydrate diets, it is always best to check with your personal health care provider before beginning any diet or nutritional program. Diabetics should always follow the recommendations of their doctors or nutritionists.